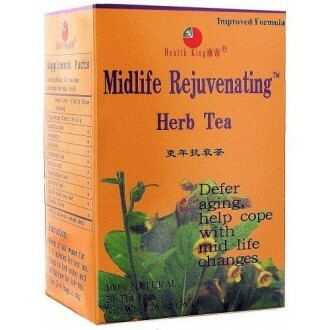 Midlife Rejuvenating Herb Tea is made of wild epimedium, polygonati rhizoma (Solomon seal) and polygoni multiflori radix. They provide plant sterol, palmitic acid, vitamin B1, icariine, cardiac glycoside, lecithin, chrysophanic acid, emodin, rhein, rhaponticin, etc. Chinese medicine uses them to promote new cell growth, tonify kidney yang, maintain cholesterol level and slow down the aging process. 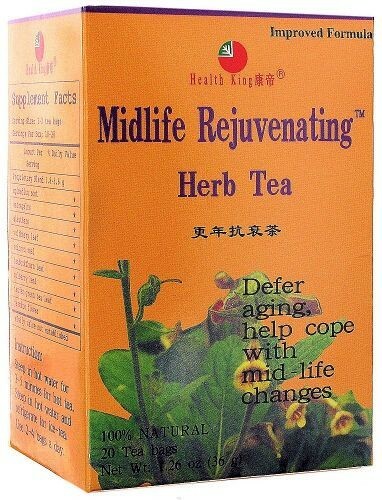 It is an ideal drink for midlife changes.